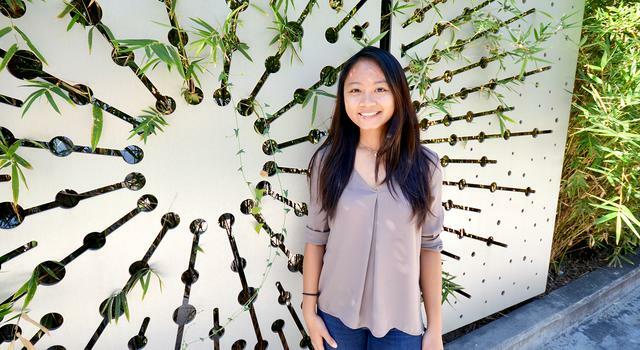 Until she discovered game development, Michelle Vo’s daydreams were a problem. She couldn’t focus in her computer science classes. Her grades were dipping. She wondered whether she was cut out to be a programmer or for school at all. So she took a break to make something just for fun, a self-help game. And help her, it did. Now focusing on virtual and augmented reality, Vo is back at school, studying not just computer science, but also cognitive science, linguistics and digital humanities. It’s a lot, but to create a virtual world, she says one has to first understand how people navigate the real one. 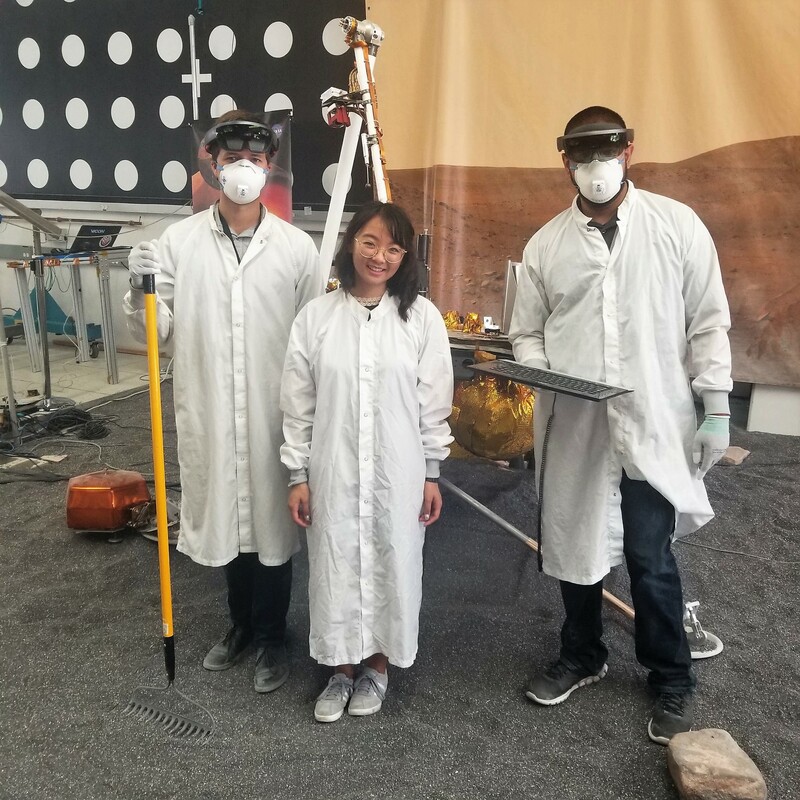 This summer, at NASA’s Jet Propulsion Laboratory, the UCLA student applied her talents to VR and AR experiences that help scientists explore a totally different world, Mars. While Vo’s tendency to daydream hasn’t gone away, she now knows how to use the distractions for good; she turns them into VR inspiration. Sorry, just got distracted. This is me on a daily basis, just distracted by everything, which is kind of how I work. I get distracted so easily, and it always takes my full attention. So if I get distracted by my work, it holds all my attention. I found out this year I have ADHD, which probably explains why I struggled so much in school. Oh gosh, this is distracting from the interview. [Laughs.] No, this is good for visibility. I struggled a lot in school because I was always distracted by my own daydreams. ADHD is often undetected in girls, since it’s not so much exhibited as fidgeting but, for me at least, spacing out and daydreaming. It was always really hard for me to focus if I wasn’t engaged. Thankfully, I’ve finally found a career where I can actually utilize that skill. My daydreaming is how I come up with my VR design ideas, and I’m so glad I can use it to help others. Maybe I didn't perform too well in school, but hey, look where I am now! That's so great that you were able to channel it in that way. 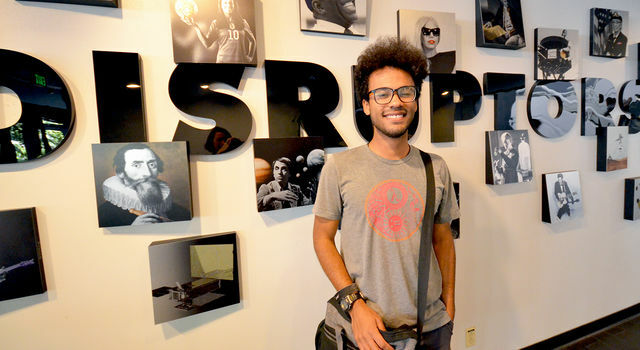 How did you go from struggling in school to doing VR? When I first tried on a VR headset, I was like, "This is the future. I need to do whatever I can to learn about this." I decided to study computer science, but it was such a huge struggle. Not a lot of people know this, but I was on academic probation for a while. I had a 1.8 GPA at one point, because I was too shy to ask for help. I would get distracted and, overall, I felt discouraged. So I stopped studying computer science for a little bit. When I took a break from school, I decided I wanted to try making a game. I wanted to do something just for fun, and I was determined to fix my bad habits. So with some friends, I created a self-help game at AthenaHacks, a women’s hackathon. For 24 hours, I was just immersed in my work. I had never felt that way about anything in my life, where I was just zoned in, in my own world, doing the thing I love. And that's when I realized, I think it's game development. I think this is what I want. So I spent the year teaching myself [game development], and I got a lot more comfortable using the Unity game engine. I knew I eventually wanted to be a VR developer, so I saved up and invested in myself to learn the skills at Make School’s VR Summer Academy. That smaller learning environment opened up the world for me. It boosted my confidence more than anything to have the support I needed. I was like, "Maybe my grades aren’t so great, but I know how to make VR." And the world needs VR right now. So when I went back to my university, I thought, "I'll try again. I'm going to go back to computer science.” And so far so good. I'm into my fourth year at UCLA studying cognitive science, linguistics, computer science and digital humanities. It sounds like a lot, but they're all related in the sense that they're all connected to VR, because VR is mainly a study of the mind and how we perceive reality. It’s not so much about computer science; you really have to know more about humans to create good VR. Sorry, ugh, that was a lot. Haha, I look at a bird and go off on a tangent. That's my life. So going back to your JPL internship, how are you using your VR skills to help scientists and engineers? I’m interning in the Ops Lab, and the project I've been working on primarily is called OnSight. OnSight uses Microsoft’s HoloLens [mixed-reality software] to simulate walking on Mars. Mars scientists use it to collaborate with each other. We had “Meet on Mars” this morning, actually. 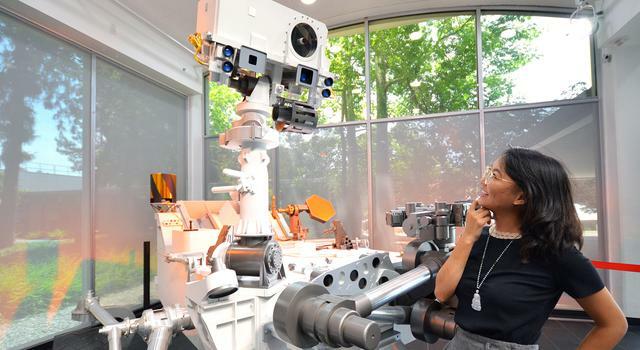 On certain days, Mars scientists will put on their headsets and hang out virtually on Mars. They see each other. They talk. They look at Mars rocks and take notes. It's based on images from the Curiosity Mars rover. We converted those images to 3-D models to create the virtual terrain, so through VR, we can simulate walking on Mars without being there. 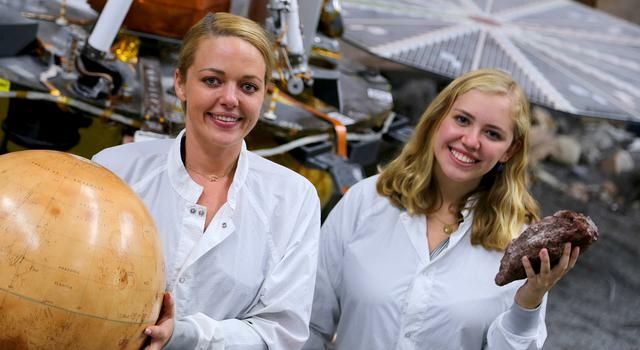 For a few weeks, I worked on another project with the InSight Mars lander mission. We took the terrain model that's generated from images of [the landing site] and made it so the team could see that terrain on top of their testbed [at JPL] with a HoloLens. For them, that's important because they're trying to recreate the terrain to … Wait, I recorded this. They already gave us photos of Mars, which they turned into a 3D model. 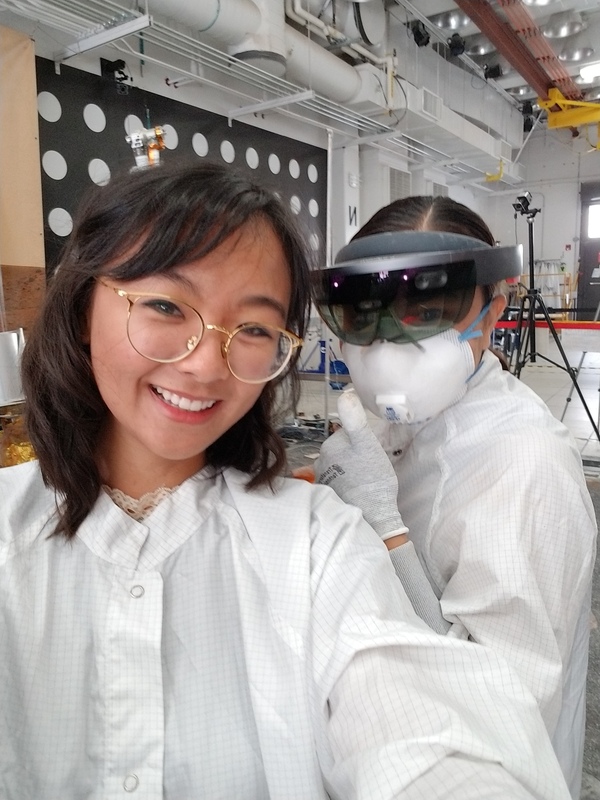 I created an AR project, where you look through the HoloLens – looking at the real world – and the 3D model is superimposed on the testbed. So the [testbed team] will shovel through and shape the terrain to match what it’s like on Mars, at InSight’s landing site. Did you know that this was an area that you could work in at JPL before interning here? OnSight was a well known project in the VR/AR space, since it was the first project to use the Microsoft Hololens. I remember being excited to see a talk on the project at the VRLA conference. So when I finally got on board with the team, I was super excited. I also realized that there’s room for improvement, and that’s OK. That’s why I'm here as an intern; I can bring in a fresh look. One of the things I did on this project was incorporate physical controllers. My critique when I first started was, "This is really hard to use." And if it's hard for me to use as a millenial, how is this going to be usable for people of all ages? I'm always thinking in terms of accessibility for everybody. Through lots of testing, I realized that people need to be touching things, physical things. That's what OnSight lacked, a physical controller. There were a lot of things that I experimented with, and eventually, it came down to a keyboard that allows you to manipulate the simulated Mars rovers. So now with OnSight, you can drive the [simulated] rovers around with a keyboard controller and possibly in the future, type notes within the application. Previously, you had to tap into the air to use an AR keyboard, and that's not intuitive. We still need to touch the physical world. How has this project compared with other ones that you've done elsewhere? Well, I was the only girl developer intern on the team. I’m always battling stereotypes wherever I go and usually on other projects, I'm fighting for my place and fighting to fit in. But at JPL, everyone’s here because they love what they do. People are secure in themselves, and they see me as an equal. They're like, "Michelle has good ideas. Let's bring her to the table." Right off the bat, I felt accepted and, for the first time ever, the imposter-syndrome voice went away. I felt like I could just be myself and actually have a voice to contribute. You know, I might be small, I might be the shortest one, but I'm mighty. It’s been such a positive and supportive environment. I've had an incredible internship and learned so much. What has been the most unique experience that you've had at JPL? Working in the Ops Lab has been such a unique experience. Every day, we’re tinkering with cutting-edge technology in AR and VR. I am so thankful to have my mentors, Victor Luo and Parker Abercrombie, who give me the support and guidance I need to grow and learn. Outside of the Ops Lab, I also had the unique opportunity to meet astronaut Kate Rubins and talk about VR with her. I had lunch with NASA Administrator Jim Bridenstine when he visited JPL. 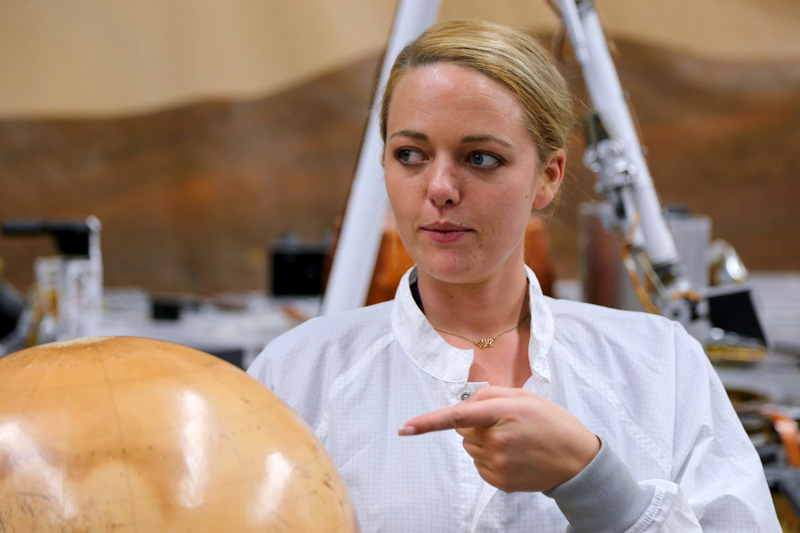 And working with the InSight mission and Marleen Sundgaard, the mission’s testbed lead, was especially cool. 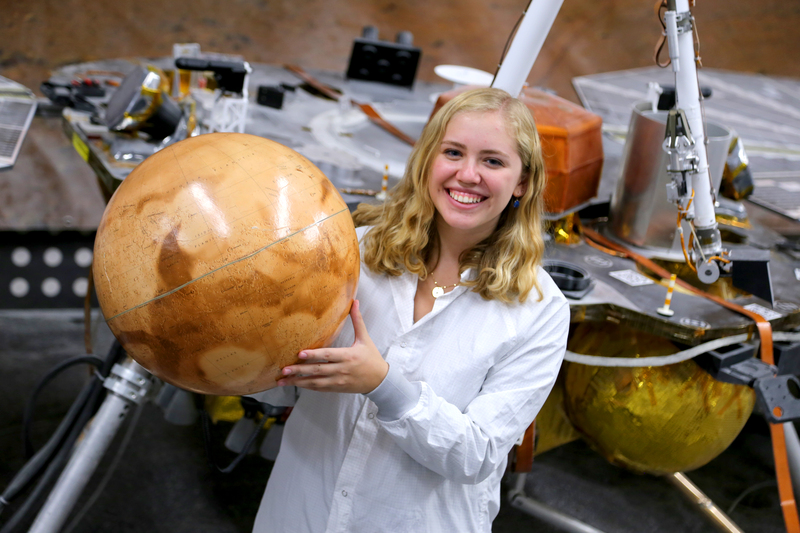 I can't believe I was able to use my skills for something the Mars InSight mission needed. Being able to say that is something I'm really proud of. And seeing how far I came, from knowing nothing to being here, makes me feel happy. If I can transform, anyone can do this too, if they choose to work hard, follow their own path and see it in themselves to take a risk. What advice do you have for others looking to follow your path? Listen to your gut. Your gut knows. It’s easy to feel discouraged. But trust me, you’re not alone. You’ve always got to stay optimistic about finding a solution. I've always been someone who has experimented with a lot of things, and I think learning is something you should definitely experiment with. If the classroom setting is not for you, try teaching yourself, try a bootcamp, try asking a friend – just any alternative. You just have to know how you learn best. My biggest inspiration is the future. I think about it on a daily basis. The future is so cool. I know I have a very cheery, idealistic view on life, but I think, "What's wrong with that?" as long as you can bring it back to reality, which I think I’ve been able to do. Speaking of that, what is your ultimate dream for your career and your future? I was raised in the Bay Area, and I grew up in Santa Clara so the tech culture of Silicon Valley was inescapable. I love Silicon Valley, but we have our problems. We have a huge homelessness issue. I’ve always thought, “We have the brightest engineers and scientists doing the most amazing, crazy things, yet we still can't alleviate homelessness.” Everybody deserves a place to sleep and shower. People need to have their basic needs met. I’d love to see some sort of VR wellness center that could help people train for a job, overcome fears and treat mental health. That's my idealistic dream, but back to present-day dreams: I'm actually doing a 180. I'm leaving tech for a little bit, and I’m taking Fall quarter off. I'll start back at UCLA in January, but I'm taking a leave to explore being an artist. I'm writing a science-fiction play about Vietnamese-American culture. I was inspired by my experience here at JPL. I feel really optimistic about the future of technology, which is funny because science fiction usually likes to depict tech as something crazy, like an apocalypse or the world crashing down. But I'm like, “Vietnamese people survived an actual war, and they’re still here.” For my parents and grandparents, their country as they knew it came crashing down on them when they were just about my age. They escaped Vietnam by boat and faced many hardships as immigrants who came to America penniless and without knowing English. For them to have survived all of that and sacrificed so much to make it possible for me to be here is incredible. I think it’s a testament to how, despite the worst things, there's always good that continues. I’m so grateful and thankful for my family. I wouldn’t be here living my dream without them, and I want to create a play about that. With wildfires around the world occurring increasingly often and burning over a longer portion of the year, scientists at NASA's Jet Propulsion Laboratory are working to understand whether the blazes could have long-term impacts on global climate change. In some respects, it’s a tough question to answer – not because of an absence of data, but because of an overabundance. That’s where intern Jarod Boone, a computer engineering student at Brown University, comes in. 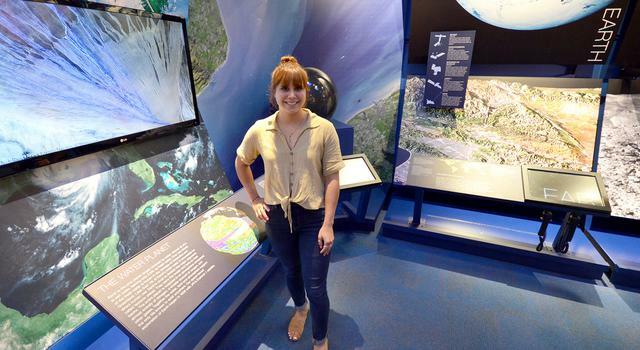 As part of a program at JPL that brings together designers, computer programmers and scientists to answer data-heavy science questions using visualizations, Boone spent this summer helping climate researchers visualize tens of thousands of files containing wildfire data collected by instruments on NASA’s Terra satellite. Boone shared what it was like visualizing wildfire data as more than a dozen wildfires burned across California (where JPL is located) and how he never quite got used to JPLers’ tendency to speak in acronyms. I'm doing the programming for a data visualization tool to help researchers who are using the Terra satellite analyze wildfire data and how high these fires inject into the atmosphere. That's a question scientists are really concerned with because you have all these fires burning up matter, and all the matter that they burn goes into the air and just floats around for many, many days afterward. We don't really know how exactly that affects global climate change, so it's good to take a look at the data. Have you discovered anything so far from these visualizations? Not quite yet. So the [Data to Discovery Visualization Program] that I’m a part of is sort of a unique program here at JPL. We have two designers and three computer science teams, and we have three projects that we work on. It's very design focused. So in the course of my projects, we have several weeks of what we call contextual inquiry, which is going in and doing interviews, creating prototypes and basically trying to get an idea of what scientists do for their workflow, because it’s kind of hard to conceive of what you would do to answer a scientific question if you don't have a scientific background. So we spend a lot of time getting to know what the scientists are trying to accomplish. We're trying to make the best interface possible for them to use this data. That's actually a huge problem in science: There's a huge barrier to entry with a lot of these data sets, so it discourages things like exploratory science. Have you been adding all the recent wildfires in the western U.S. to your data set? I'm mostly working with older fires because it takes a bit of time to digitize the fires that are imaged by the Terra satellite. They have to go through this process where they take a bunch of images of the fire – because you have these flat images and you're trying to get plume height and the satellite is moving – and they essentially need to stitch together the images of the fire to get an idea of how high the smoke plume is, which is quite a process. And it has to be done one by one. But there are enough older fires for us to work with. You're from Massachusetts, a state that doesn't have a lot of wildfires. Has being in Southern California during all the wildfires this summer changed your perspective on how to go about these visualizations? It's a little hard because the visualizations and working with all the satellite data is so detached, and they're really abstracted away from any actual fires. So it's like I'm just seeing all these data points and getting all these data products, like optical depth. I don't really know what that is, so when I see a real fire, I'm like, "Whoa, that's what that is." But there's not really a huge cognitive connection. It's definitely cool to be able to work with something that's pretty pertinent and definitely a problem in California. What's the ultimate goal of the project both for you and for JPL? For JPL, it is to refine our ideas of climate models and better take fires into account. The global climate models right now do a fairly poor job of taking fires into account because it's really difficult. They happen so sporadically. It's not a fluid weather system. It's these discrete fires, and they're just huge dumps of energy. How do we account for that? So that's definitely the end goal for JPL. I am not a climate scientist. I will not be doing any updates to the climate models, but I do hope to encourage exploratory research. And I'm sort of trying to introduce principles of design and human-centered interfacing and accessibility to climate scientists. Actually, one of my mentors was very excited about what I was working on and had me submit an abstract for the [American Geophysical Union Fall Meeting]. So visualizing is important. You should be able to conceive of the data you're using. 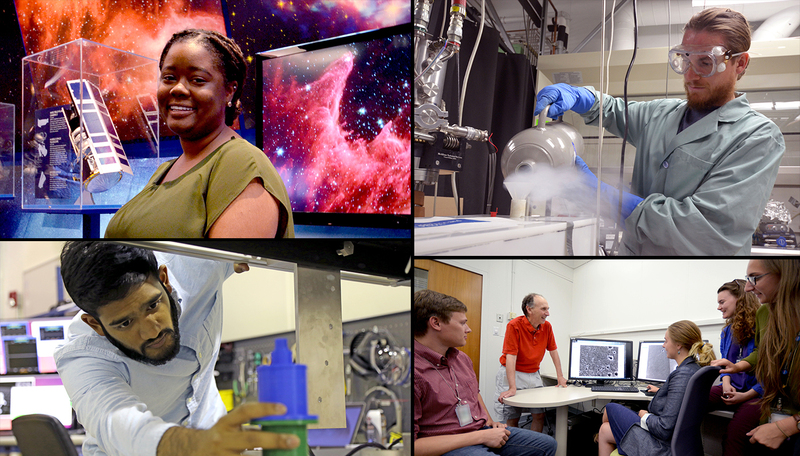 How did you get involved in the program that brought you to JPL to do this work? I had done a lot of visualization work at my school. Not on purpose, tangentially. I worked at the Brown University Center for Computation and Visualization, so we had a lot of people coming in wanting to do some kind of research visualization and they had a lot of technical problems. So I sort of got sucked into the visualization and research-aid world. One of my bosses knew Santiago Lombeyda, one of the mentors in this program from Caltech, and he said he was looking for data visualization students who were well versed in that and able to do computer science. JPL seemed pretty cool, so I decided to apply. What are you thinking you want to do eventually? So long, long term, I have this vision of humanizing computer systems. A lot of software developers don't know entirely how systems work. A lot of consumers are still confused by computers, and we're still using a bunch of folders spread out to represent files rather than something more intuitive or something that represents the data better. The fact that most users need to troubleshoot online to figure out how to use their computer and answer how to fix certain problems is a problem. I feel like we know enough about computers at this point and this generation is, in general, literate enough about computer science to be able to understand what's going on. We can possibly do a lot better making operating systems transparent. That's what I would like to do. I think that would be a cool project. Is there a particular place that you'd want to do that? In practice, I would just like to work a little bit in industry, doing systems development either in hardware or software. It's really cool to work with a data system like this, a satellite that has a lot of nuanced issues with how you get the data and what you can do with the data and how you transmit it back and forth and, at the end, what you do with that data problem. So we actually split up a decent amount of our time between here and Caltech [which manages JPL for NASA]. Most days I'll have meetings with our research groups just to touch base and see what's happening. On Mondays, we'll have [critiques] all day, which is where our mentors review our projects up to that point. Then, pretty much the rest of the day I'll spend meeting with my designers and programming. Sometimes I go for walks or explore the campus a little bit. But most of the time, I'm just holed up doing the computer thing. 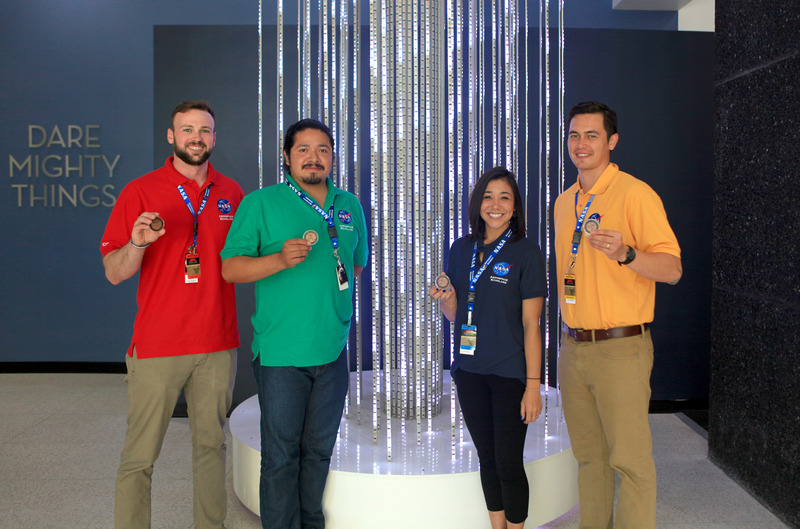 What's been the most JPL or NASA unique experience you've had so far? During the second meeting that I had with my mentor, Abigail Nastan, she used like five acronyms in the same sentence. And I was just, "Can you just use words?" [Laughs.] You guys should just have an acronyms cheat-sheet for interns. Also, going to the Mars Yard, sitting in the rocks. Every experience here is a NASA experience. In space? I mean, Earth is really cool. I guess I'd probably go to Jupiter, just because something fishy is going on there. [Laughs.] That planet is too big. Also, I just don't trust gas giants. What do you mean, you don't have a surface? I definitely would not go on Jupiter – I'd just watch it from afar. Update: Sept. 4, 2018 – Ryan Loper was offered and accepted a full-time position with the team he's interned with for the past two summers. He'll start his new role at the laboratory after he graduates in September 2019! 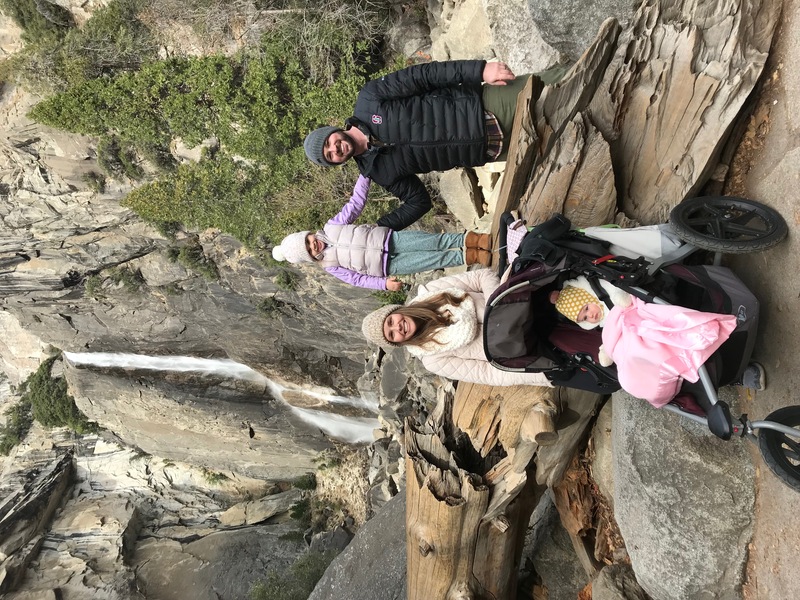 During his seven years in the Marine Corps, traveling around the world, Ryan Loper saw how much an education could change a person’s life. When his service ended, he enrolled in community college, just to, “take a couple of classes and see,” he said – until it ended up changing the course of his life as well. 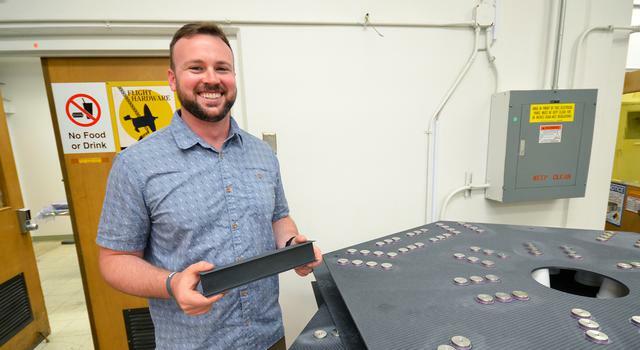 Now a student at Stanford, a two-time JPL intern, and an alumnus of and volunteer for the NASA Community College Aerospace Scholars (NCAS) program, Loper is helping build a test bed for a next-generation space telescope. 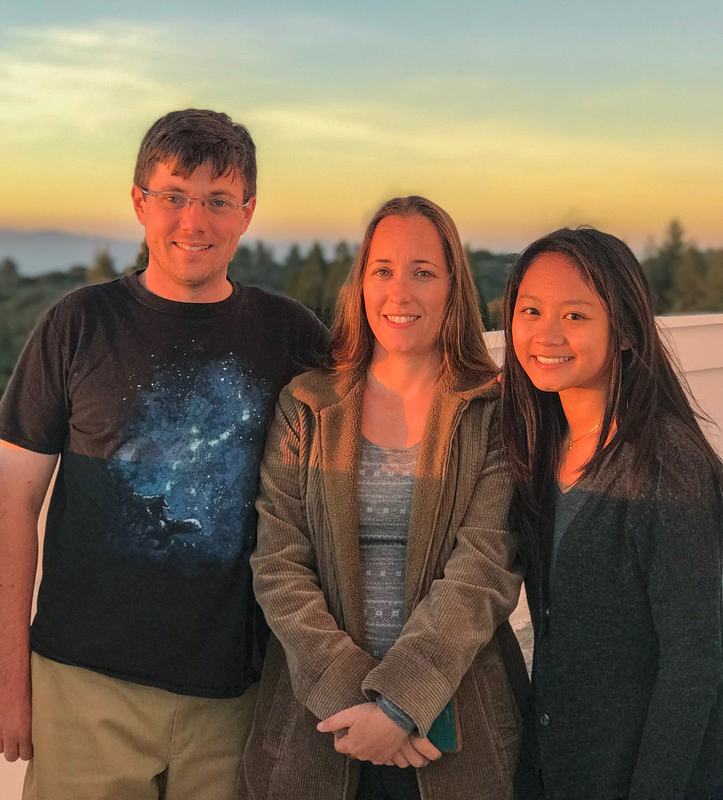 We caught up with him to find out how he made the transition from military to student life and what he hopes his future at JPL will bring. I'm working on an optical test bed, where we’re trying to make a telescope similar to one we would put in space, but a much smaller size. What's the ultimate goal of the project? We’re preparing for the next-generation space telescope. We want to get to what they call “first light,” where you get light to come through the telescope and detect it. Eventually, the team wants to take [the telescope] out and observe a star with it and be able to make measurements. They're almost never the same. Just about every day, we have a morning meeting with the principal investigator, the systems engineer for the project and two other interns working on the same project. We talk about where we got yesterday, what our plan is for the day and things we might have to consider going forward. We're producing drawings now on some of the test-bed parts. We're trying to find the right design. 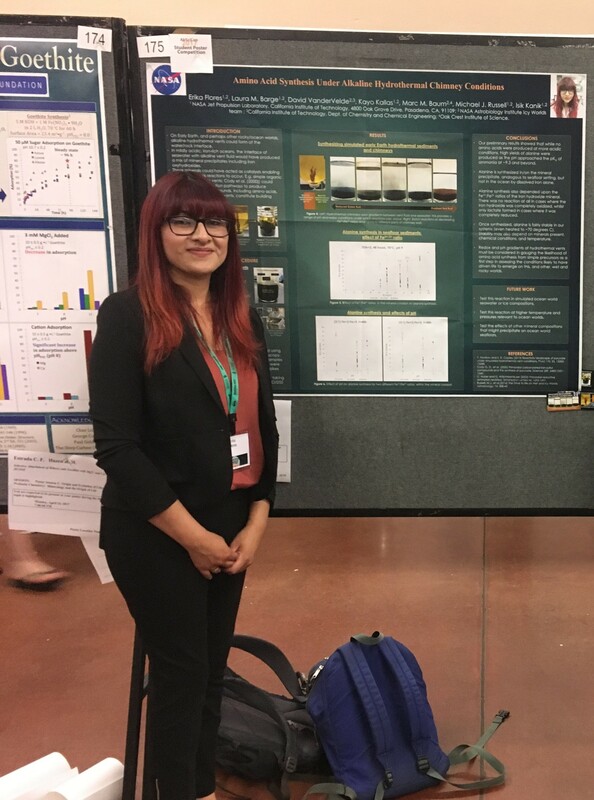 Then, as much as I can, I try to get out onto the lab and meet new people and reconnect with some of the people who I met during my internship last year. You were in the Marines before going to college. Can you tell me a bit about that experience and how it shaped your career path? Yes. I did very poorly in high school. I didn't have anybody in my family who went to college, and I didn't see the benefit of an education. So two weeks after I graduated, I went to boot camp with the Marine Corps. I spent seven years in the Marines, where I got to travel a lot and go to different parts of the world. I saw how much a lack of an education could hurt an entire group of people. I also saw how a little bit of an education could give someone more opportunities than they ever had. I also happened to have really good mentors while I was in the Marines who pushed me to learn more than what was required. It instilled this hunger for knowledge that's really helped me be successful as a student and ultimately lead to me being able to start at community college and transfer to Stanford to finish my undergraduate degree. It’s also what makes me really enjoy JPL, because it's that same type of mentality here. There are a lot of really cool things going on here, but it's not like we just sit back and watch the cool stuff happen. We're doing the stuff no one has done before, and we’re continuing to learn and iterate. It’s often challenging for veterans to take that next step after they return from their service. What challenges did you face and how did you overcome them? It's really difficult when you're first leaving the service because you've been surrounded by a lot of like-minded people in the sense that you have a mission and you're executing that mission to the best of your team's ability. I didn't struggle with this because I happened to go to a community college that had a great veteran population, but some friends of mine who went to different schools felt like there wasn't that camaraderie. I think that's the biggest thing that hinders us when we come out. We're used to that sense of camaraderie and then we go to a place where that's not there, and it leaves you feeling alone. Some of the situations that you face and see while you're deployed in the military are not what the normal 18-,19-, 20-year-old sees, so it makes it hard to talk to others. I had a lot of trouble with that. I was very antisocial when I first came out of the service, so I did a lot of counseling through [Veterans Affairs]. My wife has been a huge help and has been very patient with me working through it. [It was also helpful] having a good group of friends who are veterans, who I got together and studied with. I think the biggest thing you can do is try to find other veterans or just people you can have in your corner because it does get difficult. Did you pick the community college you went to because it had a large veteran population? No. When I first got out, I wasn't sure I was going to go to college. I figured I would take one or two classes [at a community college] and see how it went. My wife went to get information and sign me up and told me there's this whole veterans resource center and that I should go meet this guy Jordan. The first time I went, I was just super uncomfortable. I was there for five or 10 minutes, and I left. I think I made it halfway through the semester and the classes started to get really difficult. So, I finally went back and met Jordan and the community there and right away got involved. I ended up becoming the vice president of our student veterans organization during my time there. But I didn't choose the school because they have a good veteran population. The location and timing just worked out really well. What made you decide that you wanted to study STEM? Growing up, I always got in trouble for tinkering. I grew up on a tiny farm. We didn't have any money, but we always had broken stuff lying around. So I would take stuff apart and try to put it together with other things. And then I've always been interested in space and military aircraft. I worked on military aircraft for part of my career. I've just always had that desire to poke my head into things and figure out how they work and take things apart. So STEM kind of seemed like the right thing to get into. It gives me an ability to dig into math and physics, which I enjoy, but also poke around with the creative side of things. When you started at community college and took those first couple courses, were they STEM-related? Since I'd been out of school for so long, I had to take a test to see where I would start. I started in trigonometry, which is low on the totem pole for engineering majors, but I had an amazing trig professor, Professor Marquez. He walked into this trig-prep class and said, “Don't think of trig as a subject you have to learn in math, think of it as a superpower.” He taught us to think, not to repeat. So later on, it made other classes much easier. 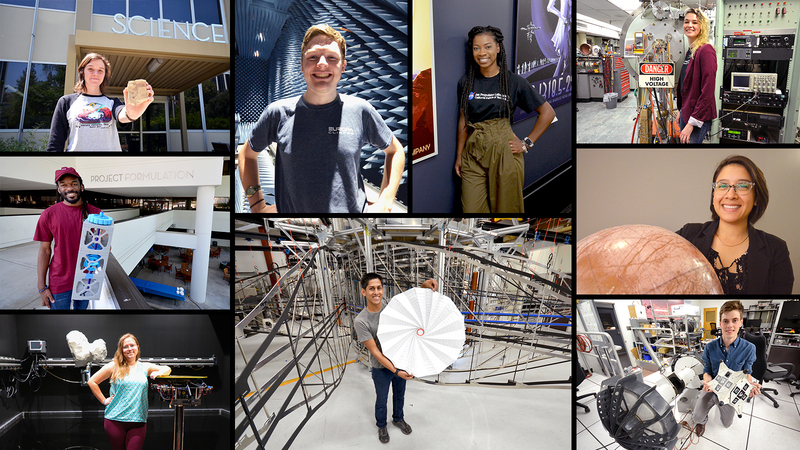 This is your second internship at JPL, and before that, you were here as part of the NASA Community College Aerospace Scholars, or NCAS, workshop. Can you talk a little bit about that and why you've continued to come back to JPL? I have a friend, Dave, who's also here [as an intern]. He was at the community college I went to. He told me how he was coming to JPL for this program called NCAS. I went online and signed up for it. I did the online class and got invited to come to JPL [for the NCAS onsite workshop]. During the workshop, I fell in love with everything that we got exposed to: the missions that NASA was doing and what JPL was working on. 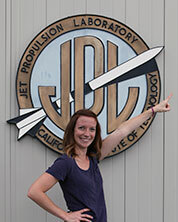 We had guest speakers come in and interns talk about their experiences at JPL. It wasn't necessarily that I thought, that’s the job I want to do. It was, those are the people who I want to work with. After that program, I stayed in contact with my mentor, Otto Polanco. He offered me an opportunity to come to JPL that following summer. I thought, I'll probably go there to do all the stuff that he doesn't want to do, like Excel sheets and trade studies. But then, I showed up, and I was basically handed the keys to the Ferrari and told to go drive. It was the first time with a work experience, especially an internship, where I came in and it was like, “Here's an engineering problem, go figure it out.” I loved it. 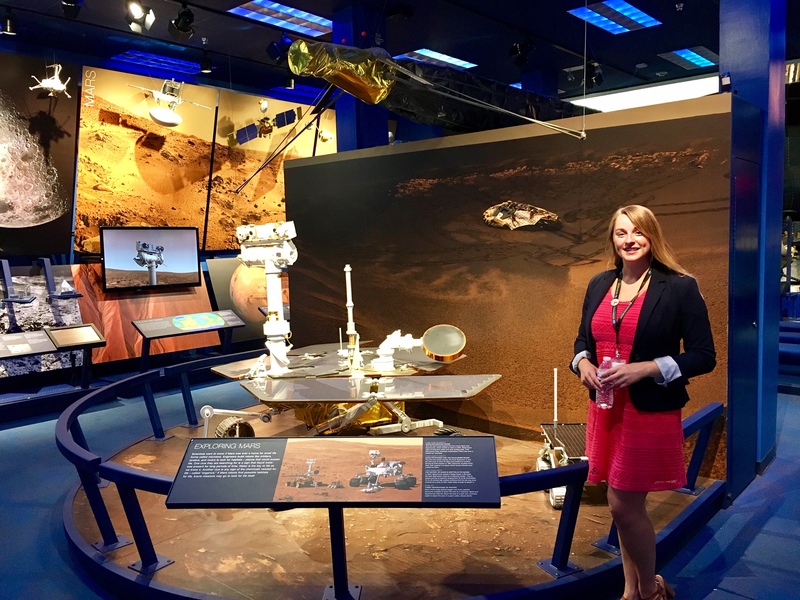 I was also invited that summer to be a student aid for NCAS at JPL, so I got to be behind the scenes and see all of the work that the JPL Education Office puts into the program. They do a fantastic job and it makes it that much more special for all the students. What's been the most unique JPL or NASA experience you've had during your time here? The most unique is being surrounded by people whose work you're reading [in school] and who are guiding what industry is doing – but they're approachable. Like yesterday, I sat with Adam Steltzner, who lead the entry, descent and landing for the Mars rover Curiosity. I had read his book, and last summer, I ran into him and briefly introduced myself and asked if he wanted to meet. He met me for coffee, and then he met me again this year and we got to catch up. For me, a big thing that I'm considering is the work-life balance because I have a wife and two children. 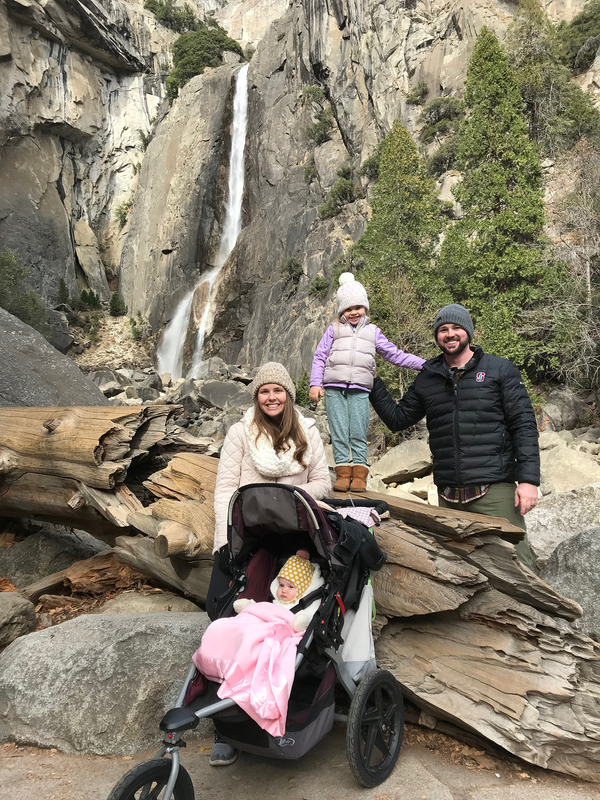 At JPL, you have that opportunity to do really amazing things and work with amazing people and get to be a husband and a father. And you don't have to sacrifice that to do something amazing. That's been unique to me – to find a place that has the culture fit that I've been looking for. Hopefully, the project that I’m working on will help ensure success for the next space-based telescope. I feel as though I get to be part of the future, the next generation of space explorers and what we're going to find out there. To be an NCAS mentor. That would mean I'd have to be a full-time JPL employee in a position where I'd be able to dedicate some of my time to support the next group of NCAS students, who are going to become interns and then come to JPL full time. Last question: If you could go anywhere in space, where would you go and what would you do there? Ooh, if I could go anywhere in space? I would want to go to the farthest point in space from Earth and look back to realize how insignificant it is and how much I take for granted. 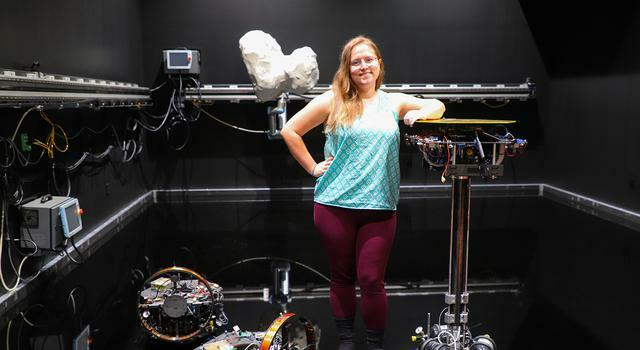 Using a test bed that looks like something out of a sci-fi movie, Becca Foust is exploring ways to bring spacecraft components together in space. 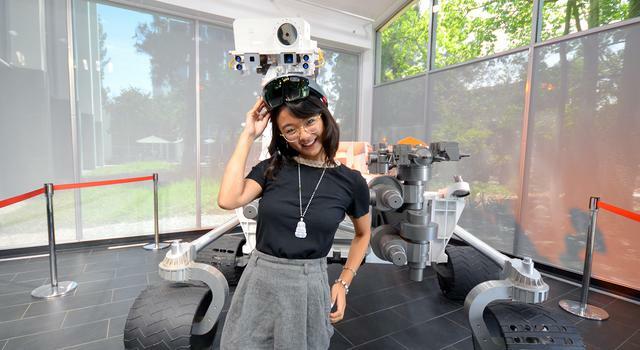 Here’s how the NASA Space Technology Research Fellow, who’s earning her Ph.D. at the University of Illinois at Urbana-Champaign, is helping create spacecraft of the future. I like to call it space K’nex, like the toys. We're using a bunch of component satellites and trying to figure out how to bring all of the pieces together and make them fit together in orbit. Then, once they're together, can you pop them apart and make something new? Using many satellites allows for much more versatility than with a conventional single satellite, plus some structures you need are simply too big to fit into the rockets we have today. So this summer, I'm testing my algorithm for assembling satellites on some actual robots in our new test bed. Tell me about the test bed. We have five spacecraft simulators that “fly” in a specially designed flat-floor facility. The spacecraft simulators use air bearings to lift the robots off the floor, kind of like a reverse air hockey table. The top part of the spacecraft simulators can move up and down and rotate all around in a similar way to real satellites. All these things combine to let the robots move around using the same components used on real satellites in space. The floor has to be very precisely flat and we have to clean frequently because, if a single hair is on the ground, it will affect the motion of the simulators. 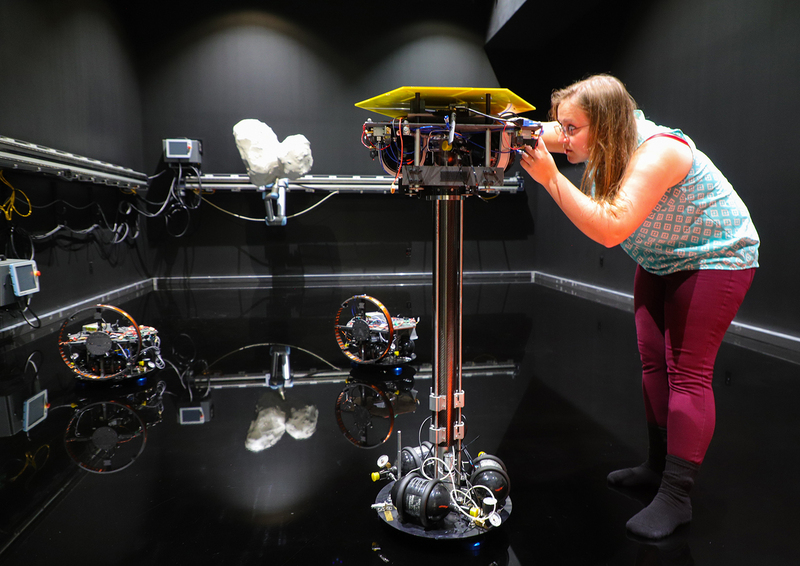 We also have two rails with highly articulated robot arms on the side and the back of the room to interact with the simulators as other satellites or as a comet to be mapped. What happens during the simulations? Most of what our group does is guidance and control, so telling spacecraft where to go and how to get there. When we're testing those algorithms, it's really important that we know where our spacecraft is because we can't tell it where to go if we don't know where it is. So, in the test bed, our robots are all tracked using a motion capture system. It's sort of like CGI. The system tracks these little reflective dots and tells us very precisely the position and orientation of the object. So if we're testing a guidance and control algorithm, we will turn on the motion capture system, make sure everything is working, and then we just turn on the robots and press go. Our simulators are autonomous and everything runs on board, so we do a lot of legwork before running experiments to make sure things will run as expected. 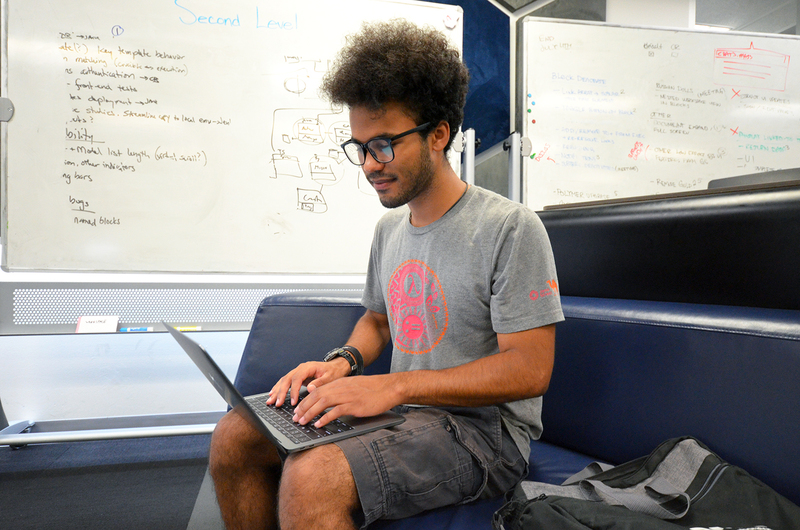 What is it that you're looking for during these simulations in the test bed? Before we had this test bed, we did a ton of simulations on the computer, but it's very different having it work on an actual robot. So we're trying to see that when we run things on the robots, it works the way it did in the simulations. Is it tracking the expected trajectory nicely? Is it computing properly? Is everything working? We'll probably end up adding some safeguards in case a command goes astray. We'll probably need to make our algorithms be able to handle issues and faults that come up. That's actually one of the problems we're working on with JPL, increasing satellite autonomy by looking at failures that happen within satellites, trying to figure out what they are and recover from them. What's the goal of your research? I hope my research leads to smarter, more efficient satellites for in-space construction and assembly. The algorithm that I'm using is very fuel-efficient and it finds trajectories that aren't really being considered and haven’t been tried yet in space. By watching it in our version of space, we can show that these paths can actually be executed in real space. So maybe we can actually start using these more efficient trajectories and then all of our satellites can live longer, go farther and do more. I try to work on some mathematical proofs in the morning when I'm still sharp-ish. So I work on that until I get frustrated. After that, I'll wander over to our lab and do some hands-on robotics-type things, like working on the spacecraft simulators and making them work more efficiently. Then, I'll spend a while teaching our undergraduate interns how to use the Robot Operating System, which runs on all of our robots. I would say meeting people at JPL. There are so many experts in so many different fields. The first summer I was at JPL, there was a presentation on almost exactly my topic. So I got to meet with that speaker, and we set up a meeting time and talked more about it. He had a bunch of really good ideas for my topic and some other people to talk to. One connection sort of leads to another. If you could go anywhere in space, where would you go and what would you do there? We're talking imaginary, right? Because I would like to go to space eventually, if I can. I think I would go to – this is probably a really popular answer but – Jupiter’s moon Europa. I’d just want to figure out what on Earth is going on there. 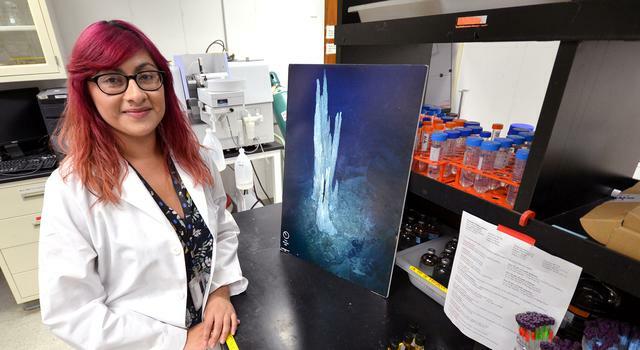 There’s no telling what the first spacecraft to land on Jupiter’s ice-covered moon Europa could encounter – but this summer, JPL intern Maya Yanez is trying to find out. 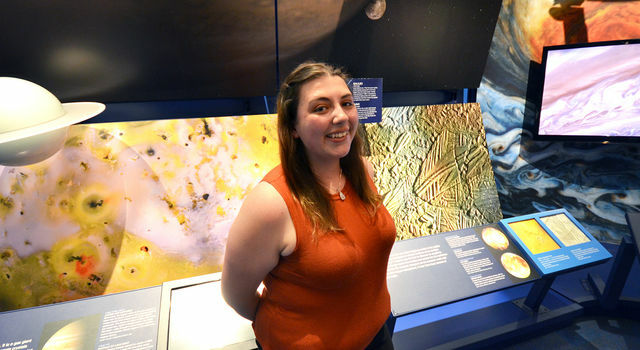 As part of a team designing the potential Europa Lander, a mission concept that would explore the Jovian moon to search for biosignatures of past or present life, Yanez is combing through images, models, analogs, anything she can find to characterize a spot that’s “less than a quarter of a pixel on the highest-resolution image we have of Europa.” We caught up with Yanez, an undergraduate student at the University of Colorado at Boulder, to find out what inspired her to get involved in space exploration and ask about her career ambition to discover alien life. I'm working on what may be a robot that we would land on Europa's icy surface. Europa is a moon of Jupiter that has this thick ice shell that we estimate is 25 kilometers [15.5 miles] thick, and there’s evidence that underneath that is a huge global ocean. If we're going to find life beyond Earth, it's probably going to be wherever there's water. So this mission concept would be to put a lander on Europa to try to figure out if there are signs of life there. I’m looking at an area on Europa about two square meters [about 7 feet] and about a meter [3 feet] deep. For perspective, we've only explored a few kilometers into our own Earth's surface. What I'm doing is trying to figure out what we might expect is going on in that little tiny area on Europa. What light is interacting with it, what processes might be going on, what little micrometeorites are hitting the surface, what's the ice block distribution? I'm looking at places like Mars, the Moon and Earth to try to put constraints and understanding around what types of variation we might see on Europa and what might be going on underneath the surface. A lot of it is looking up papers and trying to get an idea of what information exists about Europa. My first couple of weeks here, I read this thing that we call the "Big Europa Book.” It's a 700-page textbook that covers basically all of our knowledge of Europa. One of the other things that I've been working on is a geologic map, trying to look at what geologic variation exists in a couple of meters on Europa because we don't know. It's kind of crazy to think that when Viking [the first Mars lander] landed, we had no clue what another surface would look like except for the Moon. We had no idea. 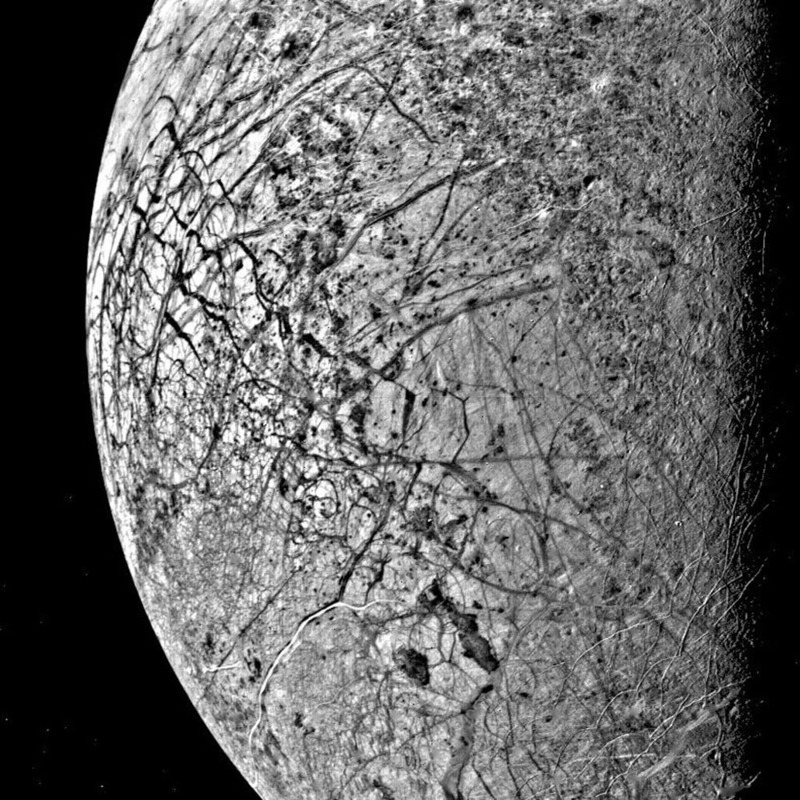 And then we got those first amazing images and it looked kind of like Earth, except Europa probably won't look like Earth because it's not rock; it's all ice. So even though we're trying, we still have nothing to compare it to. If it gets selected as an official mission, a Europa lander would come after NASA’s Europa Clipper spacecraft. How might data from Europa Clipper contribute to what you're working on now? Europa Clipper could be really beneficial in that it's going to do more than 40 flybys where it goes around Europa in a bunch of different ways and at different proximities. It’s going to curve into the moon’s atmosphere and get really close to the surface, about 25 kilometers [15.5 miles] close to the surface. Right now, some of the best data we have is from hundreds of kilometers away, so the images Europa Clipper will take will be pretty nicely resolved. If you look at the current highest resolution image of Europa as compared to one from Voyager [which flew by Jupiter and its moons in 1979], the amount of detail that changes, the amount of cracks and complexity you can see on the surface is huge. So having more images like that can be really beneficial to figure out where we can land and where we should land. Before this project, you spent a summer at JPL studying the chemistry of icy worlds, such as Pluto. 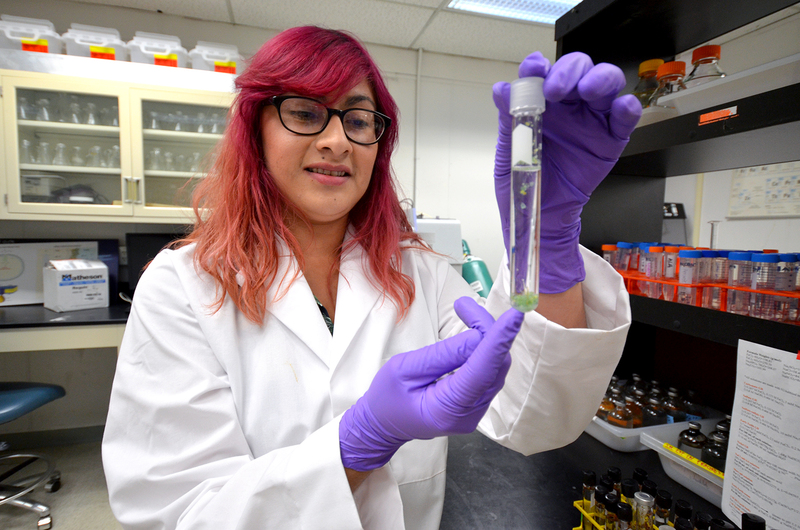 What’s it been like working on such different projects and getting experience in fields outside your major, like chemistry and geology? [Laughs] Yeah, one day I'll get back to astronomy. That's one of the things I love about JPL. Overall, I'd say what I want to do is astrobiology because I want to find life in the solar system. I mean, everyone does. It would be really cool to find out that there are aliens. But one of the great things about astrobiology is it takes chemistry, physics, geology, astronomy and all of these different sciences that you don't always mix together. And that's kind of why I like JPL. So much of the work involves an interdisciplinary approach. I have one from last summer and one from this summer. I really want to find life out in space. I'm curious about bacteria and microbes and how they react in space, but it's not something I've ever really done work in. A couple of weeks ago, I got to see astronaut Kathleen Rubins give a talk, meet her afterward and take a picture with her. She was the first person to sequence DNA in space. I would have never met someone like that if it weren’t for my internship at JPL. I wouldn't have been able to go up to her and say, “This is really cool! I'd love to talk to you more and get your email” – and get an astronaut's email! Who would ever expect that? And then last year, I had something happen that was completely unexpected. 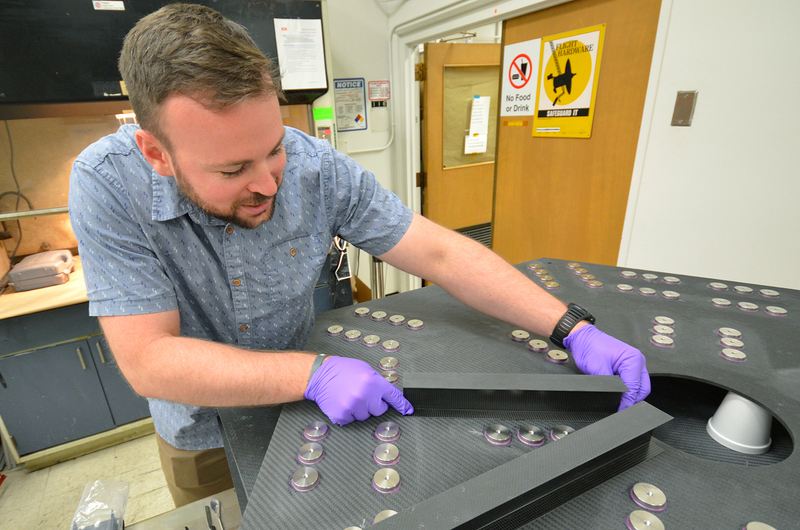 I was sitting alone in the lab, running an experiment and, throughout the summer, we had a couple of different tours come through. A scientist asked if he could bring in a tour. It was two high-school-age kids and, presumably, their moms. I showed them around and explained what my experiment was doing. It was great. It was a really good time. They left and a couple hours later, Mike Malaska, the scientist who was leading the tour, came back and said, “Thank you so much for doing that tour. Do you know the story of that one? I said no. He said, “Well the boy, he has cancer. This is his Make-a-Wish.” His Make-a-Wish was to tour JPL. I had never felt so grateful to be given the opportunity that I was given, to realize that someone’s wish before they may or may not die is to visit the place that I'm lucky enough to intern at. It was a very touching moment. It really made me happy to be at JPL. 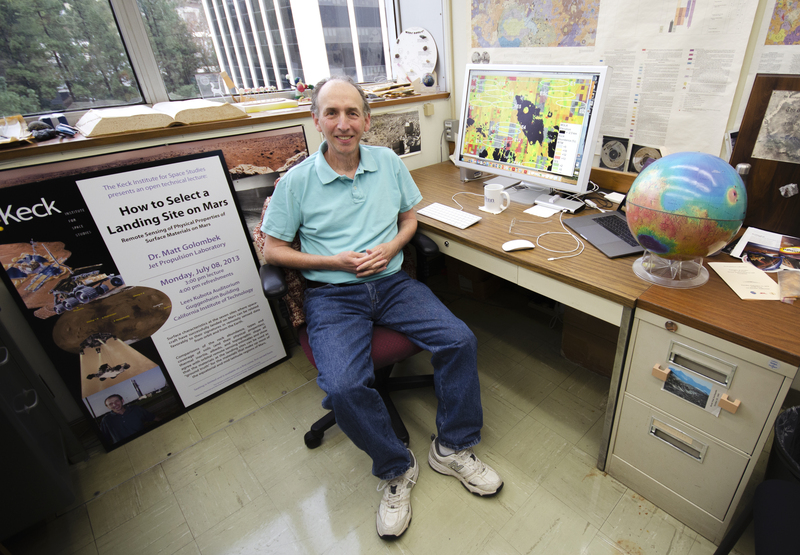 What was your own personal inspiration for going into astronomy? I was the nerdy kid. I had a telescope, but I also had a microscope. So it was destined. But in middle school, I started to get this emphasis on life sciences. I'd always really liked biology so I sort of clung to it. We never really talked about space, so I just kind of forgot about it. But my senior year, I took this really cool class in astrobiology taught by an amazing teacher, who I still talk to. After the first week in her class, I was like, I have to do this. At the end of the academic year, that same teacher took me to JPL and gave me a private tour with some of the other scientists. I actually met Morgan Cable, the mentor I worked with last summer and this summer, on that tour. It was definitely a combination of being in this really great class and having that perspective change, realizing that we’ve learned a lot about life on our own planet, but there's so much to learn about finding it elsewhere. Did you know about JPL before that? No. I'm the first generation in my family to go to college, so I'm the one who teaches science to everyone else. I didn't even think science was a career because, when you're a kid, you don't often interact with a lot with scientists. So I didn't realize what JPL was or how cool it was until that tour put everything into perspective. I wasn't a space kid, but I found my own path, and it worked. 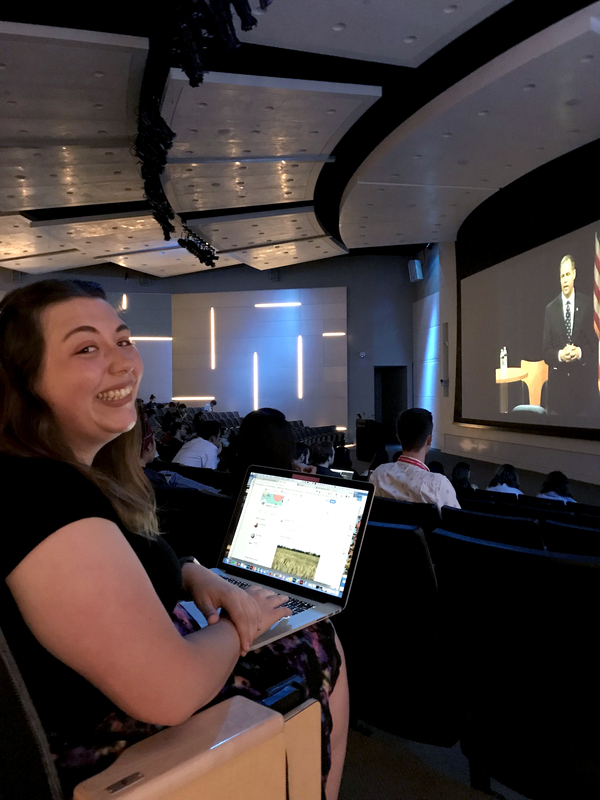 For National Intern Day on July 26, NASA held a special town hall for interns with Administrator Jim Bridenstine. Your question about how the agency prioritizes the search for extraterrestrial life was selected as a finalist to appear during the broadcast. What made you want to ask that particular question? So it was a little self-serving [laughs]. Part of it is that it’s central to my career path, but I also want to run for office one day at some level, and I think it's important that there's this collaboration between science and politics. Without it, science doesn't get funded and politicians aren’t as well informed. What I'm doing requires a lot of reading and putting things together and knowing rocks and putting scales into perspective, so it's not particularly specialized work. But the end goal of my project will be a table that says here's what processes are happening on Europa, here's what depth they govern and here's what it means if biosignatures are caught in these processes. I'm also going to be remaking an old graphic, including more information and trying to better synthesize everything that we know about Europa. Those two products will continue to be used by anyone who’s thinking about landing on Europa, for anyone who’s thinking about what surface processes govern Europa. Those two products that I'm producing are going to be the best summaries that we have of what's going on there. OK, so now for the fun question: If you could travel to any place in space, where would you go and what would you do there? Europa. Obviously [laughs]. Or [Saturn’s moon] Titan. Titan is pretty cool, but it scares me a little bit because there's definitely no oxygen. There's not a lot of oxygen on Europa, but what's there is oxygen. I would probably go to Europa and find some way to get through those 25 kilometers of ice, hit that ocean and see what's going on.